Over the winter stores have been stock-piling at SGO headquarters near Sodankylä. 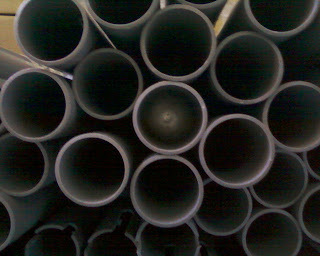 A stack of LBA posts. 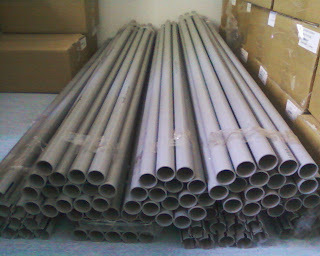 These will be for two 48-element LBA arrays. Each post is approx. 1.8m long.